Irresistibly Irish Long Sleeve T-Shirt! Be a part of the Irresistibly Irish Team with our latest arrival from the Irresistibly Irish Collection. Irresistibly Irish printed on the sleeve and the Irish Shamrock printed in the beautiful Flag colors on the left chest and back. 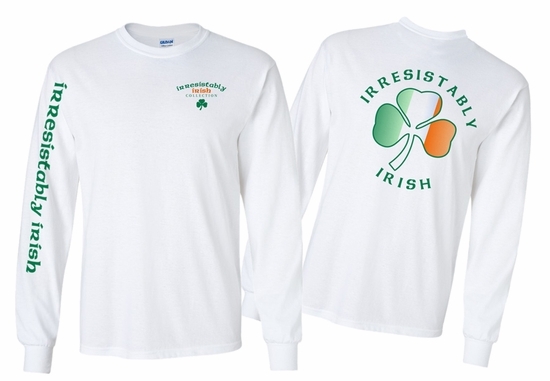 Remember� you found the Irresistibly Irish Long Sleeve T-Shirt at TShirtHub.com, where high quality came at a low price.